Oxford City Branch of UNISON: New pay deal agreed? Time to have your say. New pay deal agreed? Time to have your say. As you may be aware, we have been in negotiations on a new pay deal. The five year Collective Agreement we signed up for last time is coming to an end on the 31st March 2018. Unison has been working hard with the Council to try and improve on what we achieved in the last deal. We are pleased to tell you we have come to an agreement in principal with the Council subject to a ballot which we are recommending to you. This new agreement reintroduces weekend enhancements for all employees which you may remember it was only existing employees that retained the right to these payments. We negotiated hard for the lump sum and of course we didn’t achieve what we first wanted but we did find a compromise that suited both parties. We have been given assurances there will not be any compulsory redundancies if we sign up to this new agreement. The issue of low pay has gone a long way to being addressed, by giving our lowest paid members on SCP 17 an increase of 3.14% in year 1, this would vary for each SCP point, and in years 2 and 3. This agreement will mean our pay will again be set locally in Oxford and the Council will budget for a £7.6m increase in its pay bill by the end of the agreement period. This is a 17% rise in total pay at a time when many local councils, are preparing to cut their pay budgets. The Council can afford this because of careful financial planning and the achievement of significant efficiency savings that you have helped to achieve. We believe this agreement gives our members a guaranteed cost of living increase for the next three years and the opportunity for additional pay through an increment in October 2019 subject to performance and attendance levels. The agreement covers a 3-year period – from 1st April 2018 to 31st March 2021. The reason for a 3 year agreement is so the Council can again have certainty about its budget for the next 3 years, but this also means we will also know where we stand. We did not want the pay deal to be any longer than 3 years because we don’t know what the effect of Brexit will be on Local Government. There will either be a lump sum cost of living award of £575 in year 1and £500 in each of years 2 and 3 or a 1.25% increase per annum, whichever is the greater in that year for all Oxford City Council staff, effective from 1st April 2018. The lump sum payment will be consolidated into each pay grade on the 1st of April of each year. This is a great achievement for Unison to help our lower paid employees, and will hopefully lead the way for other councils to follow. This agreement still retains one more Increment, and still gives all employees a cost of living rise annually. For National Joint Council (NJC) employees, who are not at the top of the pay scale of each pay grade, will be eligible, providing they meet the criteria below for an increment on 1st October 2019 to the next SCP point within that grade. The bottom spinal column point will be removed from each Grade on 1st October 2019, this will then leave us with just two SCP points. The criteria to be eligible for an increment is at least a GOOD appraisal rating and an acceptable level of attendance which is defined as less than 10 days absence for the year (pro rata for part-time workers). On 1st April 2018 employees on the bottom SCP point of Grade 3 will be paid no less than £9.78 per hour, this is higher than the London Living wage. By 1st October 2019 if these employees are successful in obtaining an increment they and any one joining the council from October 2019 on a Grade 3 will be paid no less than £10.13 per hour in that year. After the cost of living rise in April 2020, Oxford City Council’s Living Wage will be no less than £10.40 far exceeding any current living wage. 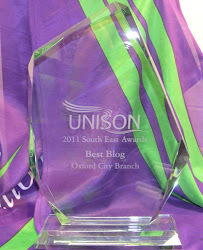 UNISON and Oxford City Council are leading the way yet again, with good partnership working. Craft workers will continue with their 3-spot productivity-based scheme and will be eligible for the cost of living rise albeit the lump sum which will be consolidated or 1.25% whichever is the greater and a final partnership payment in July 2018. The partnership payment will be removed under the new pay deal. When we were discussing the Partnership Payment, it became very clear that management wanted to apply a far more severe criterion for staff to be eligible for the payment. In effect, this would mean far less people would receive the payment. In the end, we felt it would be better spent on getting people an improved cost of living rise and not a one off payment which is not added to your salary. Just to be clear Under the Collective Agreement 2013/18 deal, a final Partnership Payment will be made to those employees eligible in July 2018 covering the period 1st April 2017 to 31st March 2018. The current enhanced rates of pay are set at 1.33 and 1.66 and will be reinstated for all employees including all new starters for the duration of this agreement; the hourly rates will continue to increase with the cost of living awards and any incremental progression. Should we return to National Pay Awards? There is currently a National Pay Cap of 1% in Local Government until 31 March 2020. Oxford City Council’s SCP points are currently higher than the national pay points. If we were to opt back into National Pay Bargaining, we would most likely face a pay freeze until the national SCP points caught up with us, which could be April 2020. This would mean we would get NO Cost of Living rise for at least 2 years. If during the time of this pay deal there is a change in Government with a promise to remove the 1% Pay Cap for Public Sector workers, the NJC would need to achieve a 10% pay increase during a 3 year period to enable them to catch up with Oxford City Council’s SCP points. So as you can see, we have exceeded the nationally agreed deals. We are not overjoyed about this, as all Public Sector workers deserve a decent pay award. By us doing this we hope that others will follow in our example. Attached to this, you will notice there is a ballot paper. Ballot boxes will be positioned on each floor in St. Aldates Chambers and one by reception in the Town Hall. Direct Services Stewards will be hand delivering Ballot Papers to each of their members at Horspath Rd Depot and Cowley Marsh, for members to receive their Ballot papers and submit their vote In the Ballot box provided. The Ballot will commence from the week of the 3rd July 2017, and the close of the ballot will be noon on Friday 14th July 2017. Alternatively, you can hand deliver your ballot papers to the Unison Office, in Oxford Town Hall. The result will be announced by Tuesday the 18th July 2017. 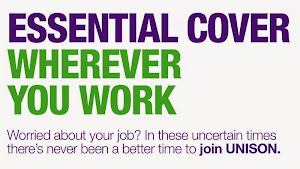 Should any of you be on leave during this period, please contact us as soon as possible here in the Unison Office in the Town Hall Tel 01865 252522 or 252672 or by emailing or speaking to your local Unison Rep for your area.